Believe You Are Beautiful is a delightful book filled with life lessons for adults and children. Believing the book's primary message -- Beauty is on the inside, therefore (no exceptions) you are beautiful -- is the foundation for a child being less likely to harm self or others. Less bullies, less victims, less self-harm, more love! Believe You Are Beautiful is the first children's book by Sandy Spurgeon McDaniel. 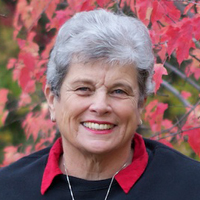 She has 52 years of experience working with children and families. She brings a wealth of experience to the table from her work as a school teacher, successful parenting columnist, researcher, author of 5 books, creator of ﻿ParentingSOS.com﻿, and an internationally recognized lecturer on parenting and self-esteem. She is best known for her warmth, spontaneous humor and her laser-like ability to solve every day personal and parenting problems. Sandy is a parent to two children and a grandmother of four grandchicks. She lives in Idaho.